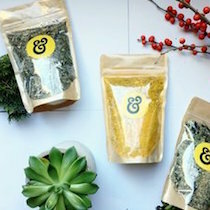 HOLIDAY GIFT GUIDE: For the Foodie! 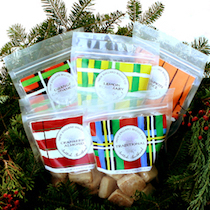 These gourmet gift selections are sure to tickle the tastebuds of any food connoisseur! All products are made and sold right here in New England! Artisinal Maple syrup Vermont’s finest, infused with gourmet flavors like ginger root, cardamon, and elderberry. 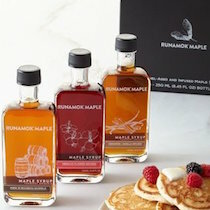 Make craft cocktails, drizzle over cheese, or use the syrup for a pancake party! 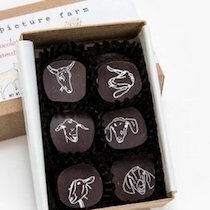 Chocolate-Covered Caramels Vermont might have a “thing” with artisanal sweet treats ;). These chocolates are a delectable choice for a foodie to enjoy. Available at Gus & Ruby Letterpress. Shortbread Nothing beats the rich taste of shortbread during the holidays; who agrees?? All of the flavors of New England Biscuit Company (made right here in Kittery), are absolutely divine. All orders over $25.00 come with complimentary shipping through Christmas! 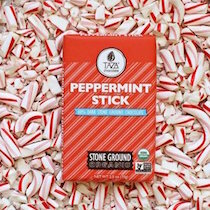 Peppermint Chocolate Stone-ground in Massachusetts, and sold at White Heron in Portsmouth, this festive peppermint chocolate bar will delight every tastebud! 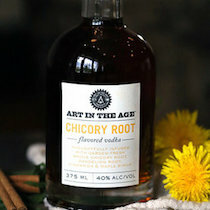 Chicory Root Vodka Roasted chicory root has long been used as a coffee substitute or filler. The root crop does well in the rough NH farmlands, and lends a deep herbaceous note. Distilled in Tamworth, New Hampshire and sold locally here. 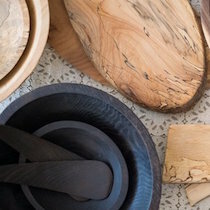 Peterman’s Boards & Bowls Made in Massachusetts from fallen trees and driftwood, these bowls and boards are one-of-a-kind. Available at Tayla Mac Boutique. Tea Blended at Laney & Lu and available in a variety of flavors! 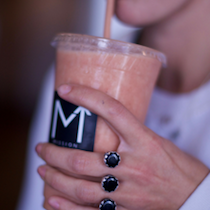 NOURISH(meant) Treat your foodie friend(s) to a healthy treat (like a post-workout smoothie or avocado toast) this holiday season! Gift cards to NOURISH are available at MISSION Portsmouth.